Have you ever pondered what makes a motorcycle unique? Is it the styling, is it the engine, is it the amount of times it makes you wet yourself? As far as I can tell, manufacturers are hard at work ironing out shortcomings in the pursuit of making their motorcycles faster. And it’s quite evident that our two wheeled companions are evolving at a much faster pace than we are. Pile on the horsepower, throw in the components, douse the bike in electronics. Newer riders get the machines to do what they want, instead of barrelling sideways like spiders straight out of a circus. I think we’ll just fathom identity from styling, then. 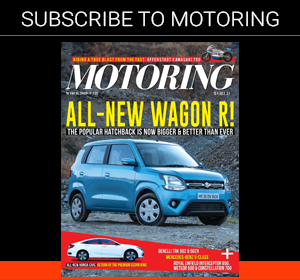 Suzuki seems to be playing its cards quite conservatively in the Indian market. Find out what segment works, then have a go at it. 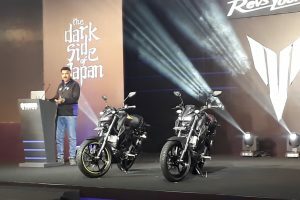 Well we aren’t really complaining, because Suzuki has finally realised India needs more than scooters and Busas, and it does have some really potent motorcycles in its arsenal. Whichever Suzukis we’ve got into the Indian market so far appear to be well thought out and more than fit for the job. 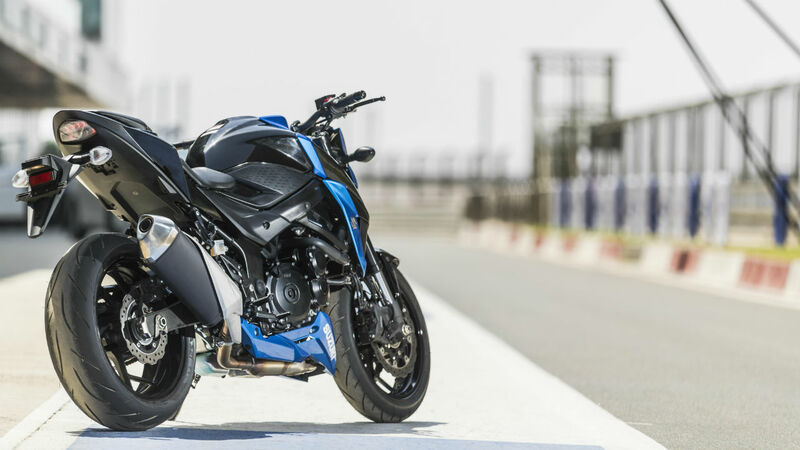 With the scene here in India finally hitting a mature stride, Suzuki has decided to present us with the GSX-S750: a middleweight naked that’s here to take the fight to the streets. Now the Suzuki GSX-S750 isn’t really a new motorcycle. This version we’re getting in India has been around internationally for about a year or so. It’s an updated version of the GSR750 that runs the absolutely sublime, albeit more than a decade old, 2005 GSX-R750 (K5) engine. Styling is borrowed from the absolutely stunning GSX-S1000, and boy is it hard to turn away from. The warthog-like tusks that flank the lower part of the headlight give it a stark identity and enforce its street fighter intentions; this brawler looks like it’s here to engage anything that comes in its way. All of this is quite contrary to the overall rider friendly nature of the bike, but we’ll get to that later. 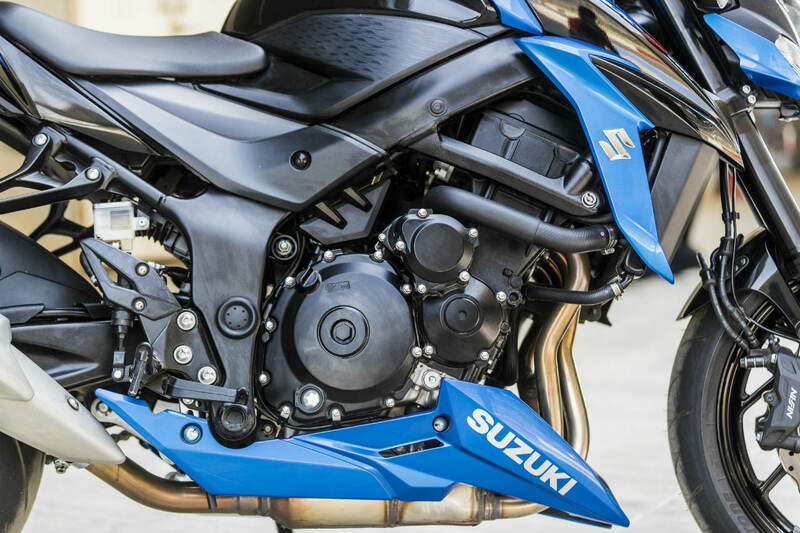 Once you approach the Suzuki GSX-S750, the first thing that hits you is just how beautifully compact it is; none of that steroid induced intimidation. This is also the first indicator of how manageable things to come will be. The only giveaway of its potent, four-cylinder displacement is the width of the really muscular-looking tank. 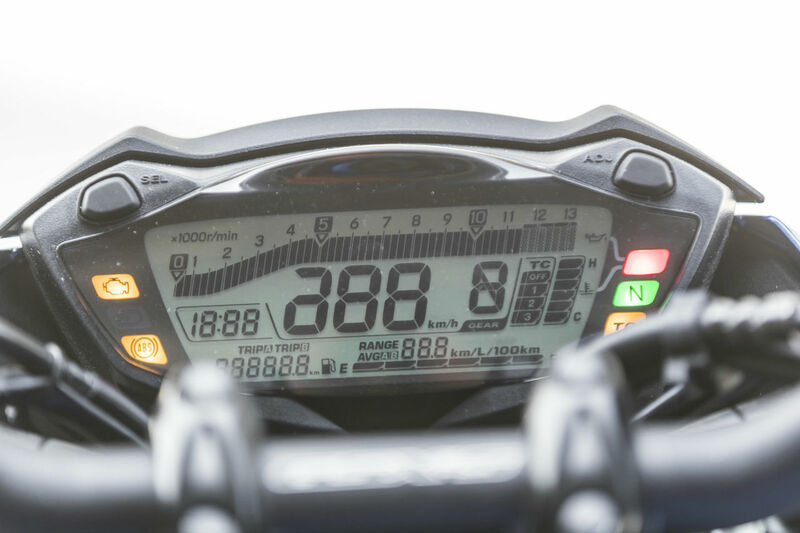 The functional and practical, full LCD speedometer is borrowed unchanged from the GSX-S1000. While it does give you all the information you could possibly need, things do appear a bit on the cluttered side. Move past the tank, and the brawny front end of the bike fades gracefully into a comfy looking seat, and then a bit of a Spartan tail end. Get aboard the bike and it’s far from intimidating. The seat’s 820mm off the ground, which again, isn’t too intimidating; it’s 10mm lower than your 390 Duke. The foot-peg position is nice and neutral, yet high enough to give you ample cornering clearance. 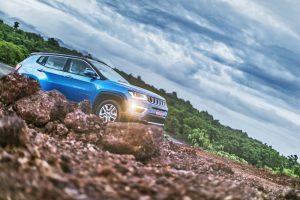 Of course the 135mm of ground clearance would warrant some amount of caution while conquering some of the more lethal speed breakers. There’s a slight forward lean into the front handlebars that gives the bike a sporty feel, but nothing too aggressive. But let’s get into the fastest evolving feature on this, or any other modern motorcycle: the electronics. 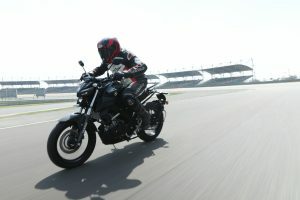 In comparison to its closest competitor, the Kawasaki Z900, the Suzuki GSX-S750 feels a bit sophisticated. While the Z900 gets nothing aside from ABS, the Suzuki gets a 3-stage traction control system that dials in the power depending on the level of intrusiveness you want. 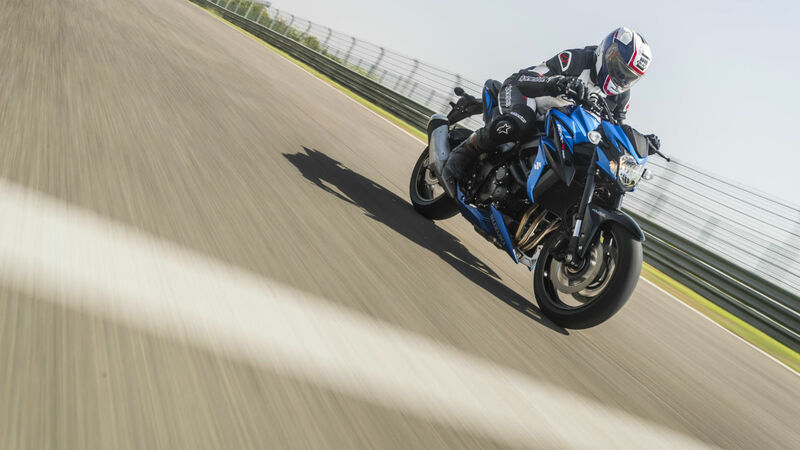 While the Suzuki GSX-S750 misses out on a ride-by-wire throttle, it doesn’t really need one. The sensors placed at the throttle, gear, crank, and wheels, will do the math for you and keep you from killing yourself when riding in the sportiest mode you can handle. Of course for the more seasoned among us, there is the option of switching it all off and bending the bike to your will. But I must say, even while I was riding in the least intrusive mode (level 1), the only indicator that the electronics are working at all is the blinking of a small orange light on the screen. You don’t really feel the traction control kicking in at all — it’s just that smooth. And of course, these modes can be switched on the go. Another really interesting piece of gadgetry this bike gets is ISC (Idle Speed Control). What is does is compensate for the drop in rpm when pulling away from a standstill via a Suzuki’s Low RPM Assist function. Not only does this prevent the bike from stalling, it would also allow a complete newbie to not drown in embarrassment; and make riding through crawling city traffic quite a breeze. But we weren’t testing the bikes on the street, no. We had at our disposal the most magnificent racetrack in the country to test the Suzuki GSX-S750. Pedestrian characteristics aside, it was time to see what the upper limit of this bike was. The first thing that you start to absorb is the overwhelming smoothness of the engine. It is an inline-four after all, and it sounds absolutely glorious. Suzuki has been getting soundtracks right for the better part of a century now and this one is no exception. The engine’s whine transforms into an eargasmic scream as the revs climb; and this is just with the stock pipes on. Of course, that scream in no way indicates a ludicrous top end; the linearity of the engine is another aspect of this motorcycle that makes it so rider friendly. And the fact that it has 113bhp being churned out of its 749cc engine, means throttle inputs aren’t half as scary as its older 1000cc sibling; you can be a little more liberal with your throttle wrist without killing yourself. The engine pulled progressively and forcefully all the way till I saw a speedo indicated 225kph in 5th gear on the back straight of the track. Sixth gear doesn’t pull much beyond that and I presume it is more of a cruising gear. The absence of a slipper clutch was missed during hard downshifts on the track. Now another reason Suzuki has stuck with the K5 750cc engine has got a lot to do with its construction. The slightly more upright angle of the piston chamber means the engine is a bit more compact along its longitudinal axis. This translates to the bike managing to have as short a wheelbase as possible, which is a big advantage when considering flickability. But on the track, the bike handles directional changes in a more poised and composed manner; it isn’t aggressive or twitchy. And corner stability is encouraging; I got to a point where the pegs were scraping in most corners but the bike held its own without much resistance. Of course the Bridgestone Battlax Hypersport S21 tyres had a lot to do with this. It’s also because these tyres were developed in conjunction with Suzuki, specifically for this bike. One of the highlights of this bike has to be the brakes; the twin 310mm rotors are chomped down on by four-pot Nissin calipers and they do work really well. The progressiveness, bite and feedback from the brakes really are impressive. Overall, the strongest characteristic of this bike would have to be its looks. Everything else is done reasonably well with no complaints. This is one of those bikes that puts you in the center of it all and does what it needs to in the most subtle way possible. 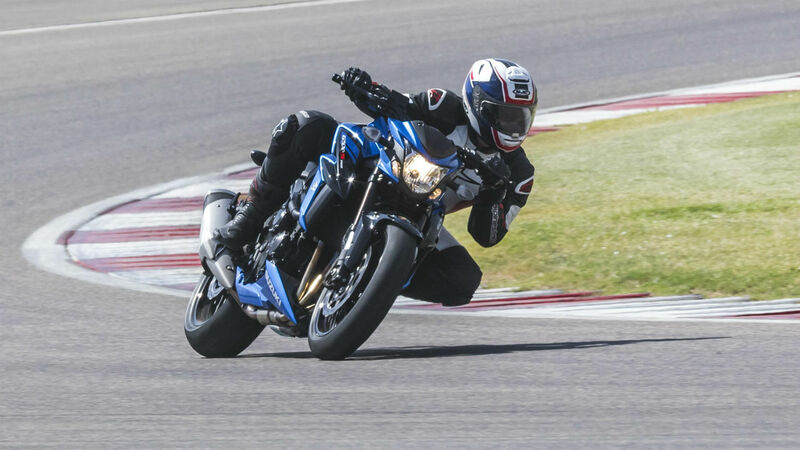 After our track test, I’d say I’m not head over heels, completely smitten with the Suzuki GSX-S750, yet. It has all the characteristics and underpinnings to make it just a lovely street bike and I think I’d be a lot more impressed with it once I ride it in the real world. 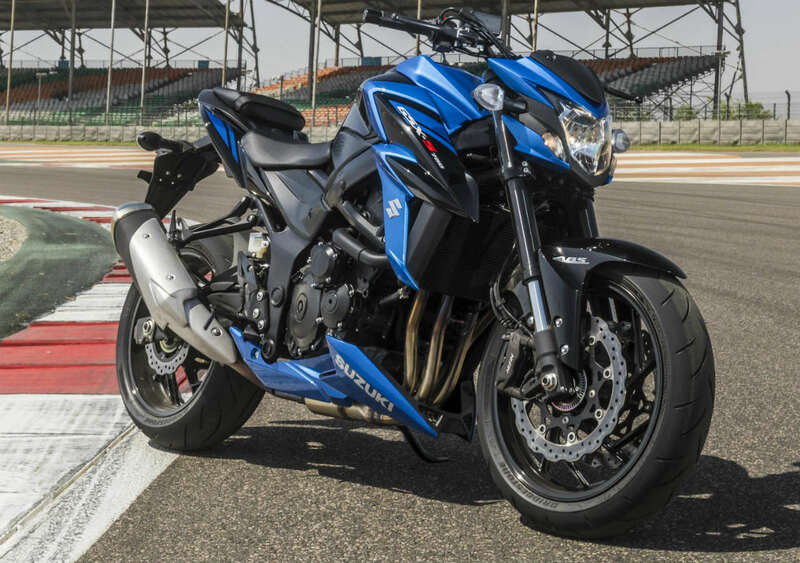 With Suzuki launching the bike at Rs 7.45 lakh (ex-showroom, Delhi), this is one potent inline-four that undercuts the Kawasaki Z900 by just over Rs 20k. While it does fall short in terms of power and displacement, can it take the fight to the Z900 with the sheer simplicity of how easy it is to ride?